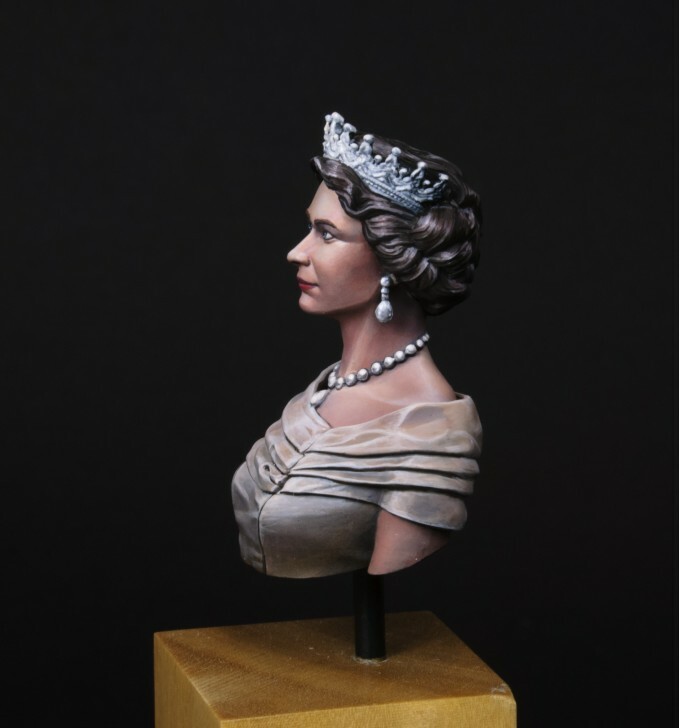 High quality, 1/14 scale resin bust of the young Queen Elizabeth II, designed for painters and collectors. 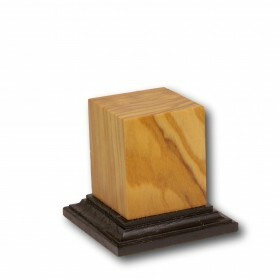 This miniature represents the Queen Elizabeth II on Her coronation. The bust has the portrait quality. 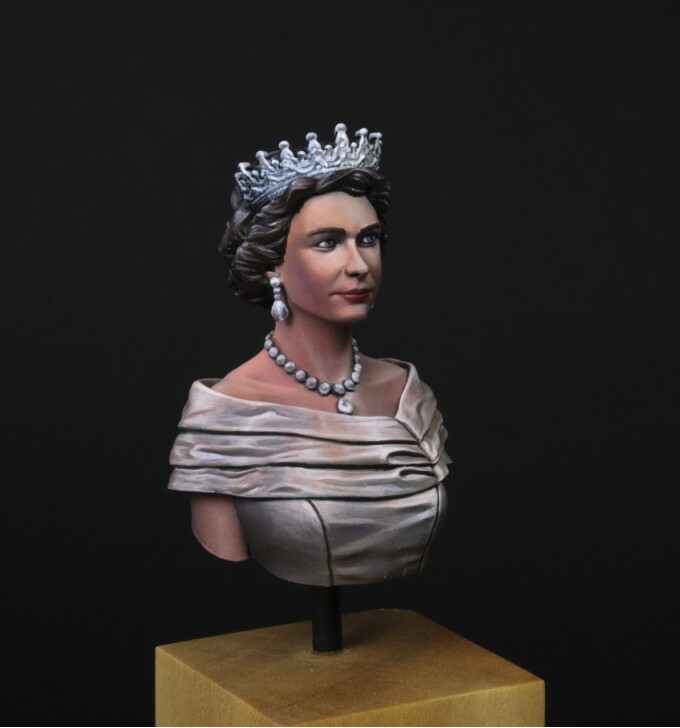 Unpainted historical miniature bust of The Queen Elizabeth II, requires assembly and painting. Having a successful marriage of over 70 years is without doubt a most remarkable achievement, especially when the marriage has right from the beginning been under the limelight and scrutiny of the worlds audience. 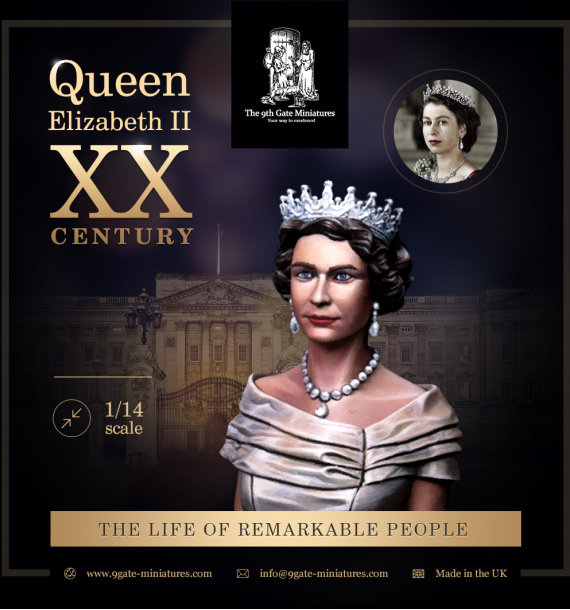 The decade-long marriage between for Queen Elizabeth II and Prince Philip has been an ample example to the world of the power of love, and what it can accomplish. Most married couple would agree that every marriage is a working progress with plentiful ups and downs, showing no exemption to this regal couple. In fact, their Royal background makes the situation far more complex, and thus over the decades, many stories have come about on the couples’ relationship. 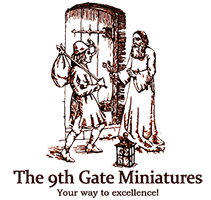 Taking a closer look into some of these stories; some of you may not have known that initially the queens father King George VI had not approved of the marriage and showed concern of the views of those in his country of this marriage, and the grooms family heritage. 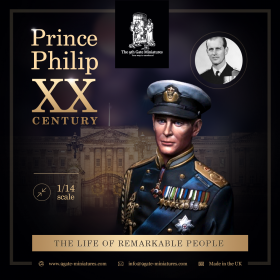 This was not the only concern the King had, a number of Phillips characteristics were disliked by the king such as Philip’s "loud, boisterous laugh and his blunt, seagoing manners". Despite these emphasised worries, Queen Elizabeth went on to marry the man of her wishes and wed at the age of 21. When on the subject of a Royal wedding, one thinks of a royal wedding, spectacle, glitz and glamour, and a pouring of luxury come to mind. Be that as it may, this wasn't the situation for Elizabeth and Philip's nuptials. Britain was all the while recovering from World War II during the time of the royal wedding. Due to this reason, the queen-to-be actually used ration coupons to pay for her wedding dress materials and was allowed 200 additional coupons by the government for her gown. The resulting dress was Her wedding dress was magnificent and incorporating a 13-foot-long train that was embellished with crystals, it remains an iconic dress to this day and age. 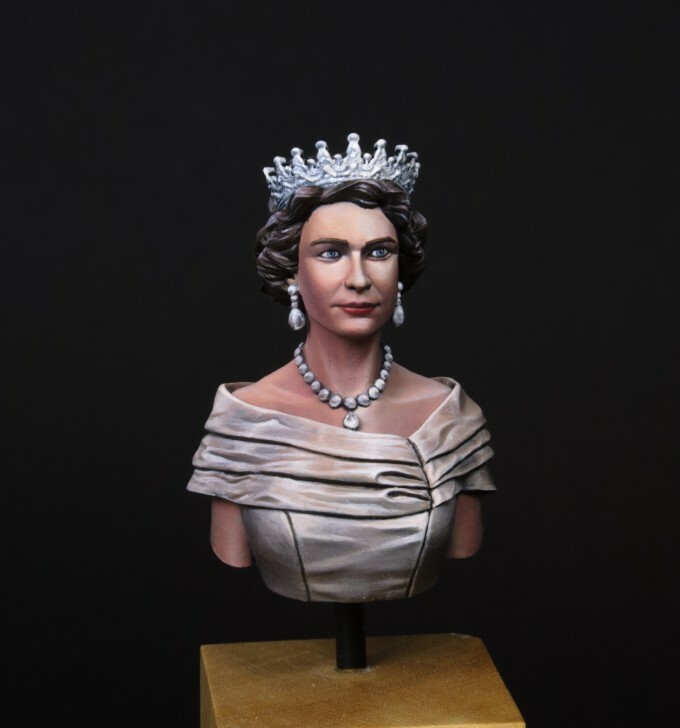 High quality, 1/14 scale resin bust of the young Prince Philip, Duke of Edinburgh, designed for..